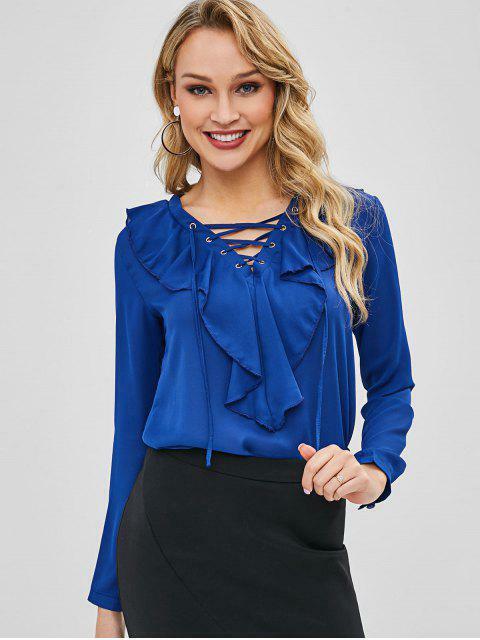 [42% OFF] 2019 Lace Up Ruffles Plain Blouse In COBALT BLUE | ZAFUL .. This casual long-sleeved blouse features a brief solid-color hue, trendy lace-up detail at the front, and pretty ruffle trimming, in a longer length. The subtle v collarline adds charm, and the loose-fitting silhouette provides a comfy fit.